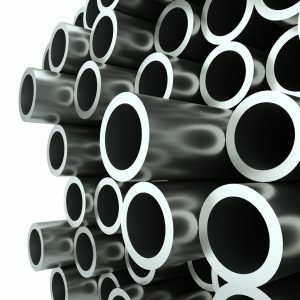 Oil Country Tubular Goods (OCTG) are used in oil and gas production. As a rule, these include drill pipe, casing and tubing that are used both onshore and offshore. Producers of heavy wall OCTG tube must meet the demands of individual client specifications, as well as API 5L & 5CT, ISO, EN and other standards. The oil and gas industry is requiring that tubes used for any critical applications be tested to increased quality level. In addition API requires a test plan and supporting data to verify that the tube-testing plan is effective in the testing task. 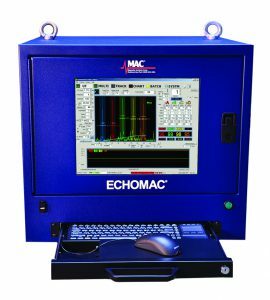 MAC does perform NDT system acceptance testing and this type of testing is normally tailored to show that the test system as configured and delivered is up to the task of testing to the 5% and 10% test level required by API. Repeatability data is also provided. Common types of oil and gas goods include: Casing, Line Pipe, Coupling Stock, Drill Pipe, Sucker Rods, Umbilical Coils (small diameter, long length), and other types of tubes. Common applications for these goods include: Offshore Wells, oil and gas transmission line pipe and API grades for other wells. 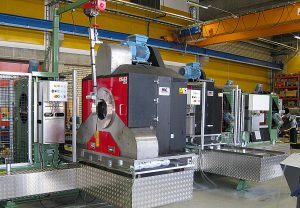 Production methods include Seamless and Electric Welded. Rotoflux® flux leakage rotary probe assembly detects longitudinal defects in OCTG product. Transverse Rotoflux probes test for transverse defects. Probes are adjustable for size changes. Casing, line pipe, drill pipe, and other types of oil and gas tubes are best inspected using Flux Leakage and Ultrasonic multi test systems. Sucker rods and umbilicals are best inspected using Eddy Current and Ultrasonic multi test systems. MAC®’s global network of industry experts, highly trained engineers and seasoned Field Representatives can help you find the right OCTG testing solution. 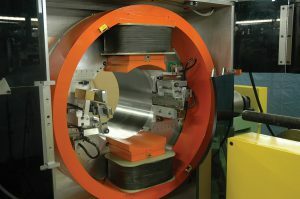 The combination of Ultrasonic and Eddy Current NDT systems can detect incomplete and mismatched welds, pinholes, leakers, and weepers in small diameter, long length umbilical coils. For sucker rods, which are hot rolled, cut length carbon or alloy steel, complete automated systems including encircling and spinning probe Eddy Current for surface and near surface defects are recommended. 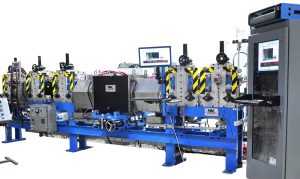 Ultrasonic rotary testing for surface, internal and subsurface defects is also available. MFL Rotoflux® Flux Leakage and Echomac® Ultrasonic inspection systems are best suited for inspecting heavy wall pipe for wall thickness variations, laminations, longitudinal, transverse, ID/OD, oblique and internal defects. These rotary systems are designed to inspect pipe up to 500mm in diameter. Eddy Current systems such as the Multimac® and the Minimac® 50 and 55 are also available for thinner wall pipe. Full Body UT can be applied to test to Shear – Longitudinal, Transverse and Oblique notches. Full Body UT can also do 100% wall thickness and Lamination. This can be 100% or 25% volumetric testing. Both methods can be configured in a common test bench. Test bench can be V roll or constant center triple guide roll type pinch stands. Tube sizes up to 500mm can be tested with rotary UT method. Ultrasonic method can also be applied by use of Helical Spin the tube, Weld-Line testing device or Overhead Gantry method. Ultrasonic method can also be conventional probe or Transducer Array or Phased Array method. This is both Transverse and Longitudinal direction. 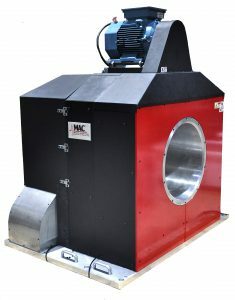 MAC makes both Longitudinal and Transverse Magnetic Flux leakage test units. Tube sizes up to 500mm can be tested. 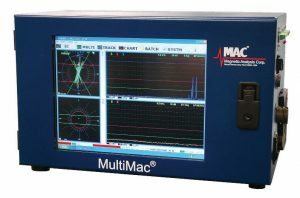 MAC can supply upgrade electronics for older fixed test head transverse units. Closeup of Transverse Rotoflux® Rotary which detects transverse defects in heavy wall 500mm OCTG pipe. Eddy Current Instrument for Testing Tube, Bar, & Wire. Eddy Current Screen Polar view of thresholds with a test signal for a drilled hole in a tube.